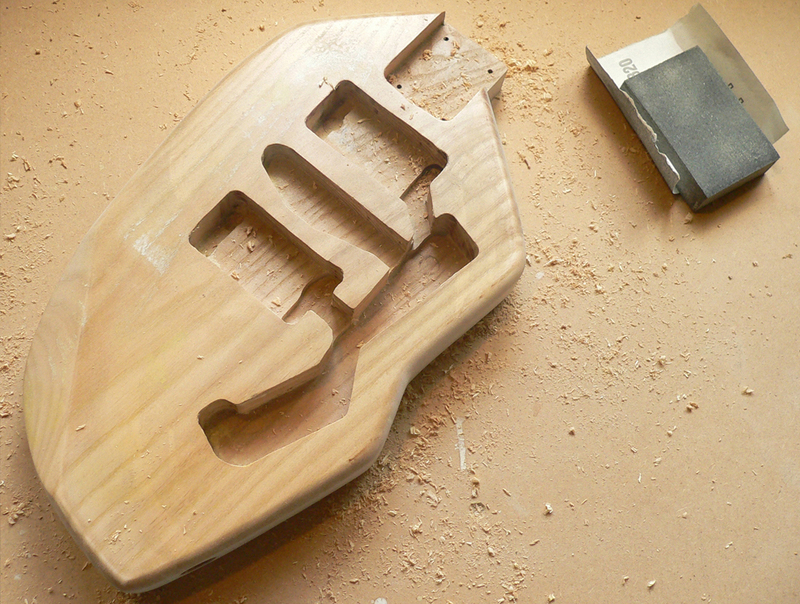 Each THUNDERCLAP is an original handcrafted guitar designed and built in Sheffield by independent luthier Tim Barnes. The THUNDERCLAP 's contemporary body shape is handcrafted from American White Ash, a dense hardwood. The tonal character of American White Ash is loud and bright, with a strong midrange and a crisp bass. Its density contributes to the THUNDERCLAP 's bright tone and gives the guitar a long sustain which makes White Ash a very popular guitar tonewood. The neck is made from Canadian Maple and has a 25.5" scale Rosewood fingerboard with 22 medium sized frets. The THUNDERCLAP has a versatile range of tones, featuring 3 TONERIDER CITY LIMITS Single Coil Pickups in neck middle and bridge positions. © 2014 (Barnes Handcrafted Guitars) all rights reserved.